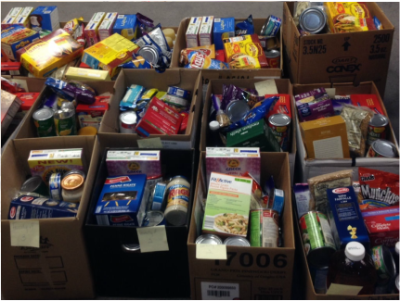 We provide food to those who are unable to provide for themselves this basic need. We love blessing other people with opportunities to serve in our community. 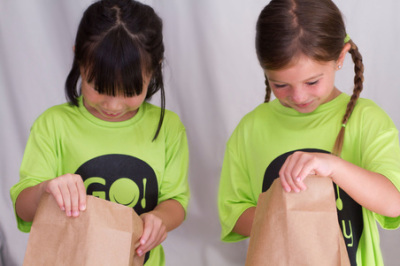 GO BAGS provide a bag of kid-friendly food to elementary school children to help sustain them on the days they are not in school. Children receive their food on Fridays so they have food on the weekend when there are no school meals to sustain them. ​​GO BAGS includes two breakfasts, two lunches, two dinners, snacks and healthy drinks. GO BOXES provide meals for kids during school breaks who otherwise depend on the school for the majority of their food. It is hard to imagine that when school stops hunger escalates. All kids in the GO BOX program receive "free or reduced" meals every day they attend school. When school is out, they do not have enough to eat. GO BOXES contain a minimum of 5 breakfasts, 5 lunches and 2 dinners for each identified child. ​​​​GO BOXES are given to families of GO Pantry kids to help sustain the family over school breaks and the long months of summer. $300 donation can sponsor 1 child for the 6 weeks of summer.